In the normal course of political events, any government that announced the largest cutbacks in public spending for more than thirty years would be seen as batting on a particularly sticky wicket. And it is true that there has been no shortage of criticism of the £81bn cuts programme unveiled by Chancellor George Osborne on Wednesday. Already, the coalition’s attempts to present the package as ‘fair’ have begun to look somewhat threadbare, with think-tanks such as the Institute for Fiscal Studies claiming it will hit the poorest hardest. Given that public spending is of necessity higher in the worst-off areas of the country, it seems to me that the IFS is making not so much a contentious political point as a statement of the bleeding obvious. Yet for all the sound and fury directed at the coalition this week, it is my belief that the spending review – and the wider question of how to tackle the deficit - actually poses a bigger problem for the Labour Party. Why? Because like it or not, the government has succeeded in creating a consensus that, irrespective of whether or not the cuts are fair, they are certainly necessary. The general election in May was essentially decided on two issues: whether the public could stand another five years of Gordon Brown as Prime Minister, and how fast the deficit should be cut. It is because Labour lost the argument on not one but both of these issues that it finds itself out of power today. So on the question of the £18bn cuts to welfare benefits, even allowing for the undoubted human cost, there is actually a broad consensus that this is something that needs to happen. If the coalition can succeed in reforming the welfare state – something Labour really should have done from a position of strength post-1997 – the political as well as the economic dividends will be huge. Likewise, there is also a broad consensus that the last government created too many ‘non jobs’ in the public sector that are now having to be shed. If as the government’s own documents appear to confirm, the cutbacks do lead to 500,000 public sector job losses, many of those not personally affected will see it as a necessary re-balancing of the economy. It has become almost a cliché over the past week to say that Mr Osborne’s spending review will determine the result of the next election, but it is true nevertheless. If his great gamble pays off, and the economy recovers before 2015, the coalition will have succeeded in constructing a political narrative that will be well-nigh unbeatable at the polls. It will be the well-worn cry of Tory governments down the ages - that Labour turned the country in an economic disaster zone, leaving the coalition to clear up the mess. However good or bad a leader Ed Miliband turns out to be, it is inconceivable in those circumstances that the country would then turn back to Labour after just one term out of office. Yet for Labour, the alternative scenario in which Mr Osborne’s cutbacks plunge the country into a double-dip recession is almost equally baleful. Messrs Brown and Balls would then be powerfully vindicated – but at the cost of millions of lost jobs, repossessed homes, failed businesses and shattered lives. Hence many Labour supporters who might ordinarily hope that the Comprehensive Spending Review proves this government’s undoing will instead be praying that Mr Osborne is proved right. It may condemn their party to a decade of opposition. But at least they might still have their jobs by the end of it. The day after David Miliband stepped aside from the Shadow Cabinet and Nick Brown was axed as Chief Whip, a Newcastle Journal headline posed the question: "Has the North East lost its political voice?" If that was a pertinent question to ask then in the wake of the departure from frontline politics of two genuine regional heavyweights, it is even more so now. Since then, we have seen the Parliamentary Labour Party fail to elect any of the four North-East MPs who stood for the Shadow Cabinet while choosing no fewer than seven from Yorkshire and Humberside. And on Thursday, final confirmation that One North East, the development agency which has presided over a regional economic renaissance, is among the 192 quangos being axed by the coalition government. The contrast with the regional political scene of a decade ago could not be greater. We regularly saw five or six North-East MPs occupying seats around the Cabinet table – depending on whether Peter Mandelson was in or out at any given time. Their value has been long debated. Tony Blair admitted in his memoirs that he dared not be seen to favour his home region, and at least one of those Cabinet ministers admitted the same to me. There was also the now largely dismantled regional political infrastructure – ONE, the regional government office created under John Major, and the regional assembly made up of senior councillors and other representatives. Later on, under Gordon Brown, the North-East had its own minister in Nick Brown. Now it does not even have a single MP in government, let alone someone dedicated to sticking up for its interests. In retrospect, it is clear that a more concerted effort should have been made to get behind a single North-East candidate in the Shadow Cabinet elections, probably Helen Goodman as she came closest to being elected. But as it has turned out, the region is fairly well-represented in the middle ranks of Labour leader Ed Miliband's new team unveiled last weekend. 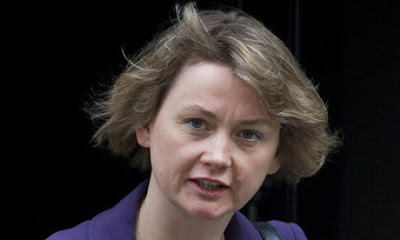 Ms Goodman joins Kevan Jones, Sharon Hodgson, Roberta Blackman-Woods and new MPs Chi Onwurah and Catherine McKinnell as shadow ministers, while Alan Campbell has been promoted to Deputy Chief Whip. None of them, as yet, has the parliamentary stature of a Nick Brown or a David Miliband, but at least there is hope there for the future. But if new leadership is going to come from anywhere, it surely needs to come from within the region itself, and here the picture is much less promising. The moreorless wholesale disappearance of region-wide political institutions has left a void which the coalition's plans for yet more elected mayors will not begin to address. One of the arguments made at the time of the regional assembly referendum was that a future Conservative administration would find it harder to get rid of an elected body than a panoply of unelected ones. In retrospect, this was surely right. After all, the coalition is not abolishing the Welsh Assembly or the Scottish Parliament, even though those institutions cost many times more than the RDAs. Hopes continue to linger that the government may yet allow the creation of a region-wide Local Economic Partnership to provide a single regional perspective where necessary. But Whitehall's signals on this have been mixed to say the least and while Business Secretary Vince Cable may be supportive, it is clear that not all of his colleagues share his viewpoint. Much of the debate around the governance of the North-East over recent decades has essentially been about the need for a distinctive regional political voice. It is no exaggeration to say that, in a few short months, the coalition has managed to set back that cause by at least 20 years. As the conference season ends, which leader faces the toughest task? Ever since he burst onto the political scene during the Tory leadership election five years ago, David Cameron has consciously or otherwise modelled himself on Tony Blair. To begin with, he appeared to invite the comparison, describing himself as the "heir to Blair" at a dinner with a group of newspaper executives in October 2005. One of the newspaper editors present on that occasion reputedly warned him: "David, I would not repeat that outside this room," and to be fair to Mr Cameron, he took the advice. But though the Prime Minister is nowadays more keen to play down the comparisons, this week's Conservative Conference in Birmingham showed they have not gone away. Political blogger and former North-East Labour official Hopi Sen produced a fascinating comparative study of Mr Cameron's conference speech on Wednesday with Mr Blair's first address as Prime Minister in 1997. For instance, in 1997, Mr Blair said: "When people say sorry, that’s too ambitious, it can’t be done, I say: this is not a sorry country, we are not a sorry people. It can be done." Fast forward to this year, and Mr Cameron is telling us: "Don’t let the cynics say this is some unachievable, impossible dream that won’t work in the selfish 21st century – tell them people are hungry for it." And as Hopi points out: "In Blair’s first speech we find a young girl who writes in to say how much she liked going to a summer camp. In Cameron’s a young girl writes in to help pay off the deficit." But what really unites Messrs Cameron and Blair is not so much their shared rhetorical style or even their presentational skill, but their tendency to want to define themselves in opposition to their own parties. Mr Blair loved nothing better than to don the Tories' clothes – whether it was being tough on crime, a hawk in international affairs, or even privatising public services when Gordon Brown would let him. He knew it wound his party up – but that was fine so long as it showed the wider electorate that Labour was no longer hidebound by what he saw as out-of-date ideology. Now we have Mr Cameron wanting to make 'fairness' the defining characteristic of his government – not a value with which the Tories have always been readily associated. The Prime Minister knew that the decision to axe child benefit for households with a higher-rate taxpayer would wind-up his own grassroots – but what mattered was whether the wider public saw it as fair. But did they? It certainly doesn't appear to be very "fair" to families with a single-earner in the higher tax bracket whose partner stays at home – and may well have to be rethought for that reason. Culture secretary Jeremy Hunt then broadened the debate by raising the issue of whether the state should subsidise people who have more and more children. Was it a gaffe - or was he acting as an 'outrider' for Mr Cameron, in the way that Stephen Byers and Alan Milburn sometimes used to do for Mr Blair, saying the things the leader dare not say himself? Time will tell – but as the post-election conference season draws to a close, how do the three parties and their leaders currently stand? Labour's Ed Miliband must persuade a sceptical public he is a better leader than his brother would have been. Nick Clegg has to win that referendum on voting reform, or risk the Lib Dems being flattened at the next election. As for Mr Cameron, he must convince the voters that the most savage spending cuts to be unleashed for decades are somehow "fair." It is hard to say which of the three of them faces the most difficult task. Within hours of Ed Miliband's victory in the Labour leadership election last Saturday, friends of Tony Blair let it be known that the former PM regarded the result as a "disaster." It was certainly pretty disastrous for Tony Blair. His ill-judged intervention in the contest, suggesting that any departure from New Labour would consign the party to the wilderness, appears to have spectacularly backfired. Offered the chance to choose a Blairite continuity candidate in David Miliband, the comrades opted instead for someone who has spent most of his career as an adviser to Gordon Brown. Mr Blair's autobiography may have topped the best-seller charts. But it has lost him any lingering influence he may have had over his old party. But if this week's conference in Manchester was a disaster for the Blairites, how was it for the party as a whole? Well, on this point, I'm afraid I find myself in rare agreement with the former Prime Minister. Had David won, Labour would have been right back in the game. Unlike his younger brother, he is a man who is ready to be Prime Minister now, and his election would instantly have struck fear into the coalition. Instead - and not for the first time in its history - the party has opted to eschew the easy route back to power in favour of the long, hard road. To my mind, there are three principal reasons why Ed's victory may ultimately come to be seen as a bad day's work for the party. The first is nothing to do with the qualities of Ed or David, but with the flawed system that enabled Ed to come out on top despite winning fewer votes from both party members and MPs. Much has already been written about the dangers of Ed being seen to be in the "pockets" of the union bosses, and like many Labour leaders before him, he will have to work hard to tackle that perception. To me, the bigger problem is not that the unions got their man, but that the party members didn't, creating an issue of legitimacy that Ed will struggle to address. Secondly, there is Ed himself. He was right in his speech on Tuesday to try to draw a line under some of the issues which have caused Labour to suffer such a catastrophic loss of trust, and the 'Red Ed' jibes will soon be shown to be ludicrous. But for all his personal ruthlessness in fighting his elder brother for the party leadership – and in despatching Nick Brown from the job of Chief Whip - he still comes across as rather earnest and well-meaning. For me, though, the biggest danger for Ed is that, in displaying such ruthlessness in pursuit of the top job, he may have sown the seeds of his own downfall. It is not just that in order to win the leadership he had to humiliate his elder brother and force him out of frontline politics, but that he also had to trash the entire New Labour brand. Yes, there were things New Labour got wrong. It did become "fixed in its own certainties" as Ed said on Tuesday. The Blairites became, like Tony Crosland, revisionists who stopped revising. And as the North-East knows only too well, it clearly failed to balance the interests of its traditional supporters against those of 'aspirational' voters. But the essential lesson of New Labour – that to win, the party needs to reach out beyond its ideological comfort zone - is one Ed Miliband ignores at his peril. And I am not alone in wondering whether in declaring New Labour 'dead,' he is not also in danger of writing his own political obituary. Prime Minister David Cameron committed something of an historical gaffe this week when he referred to Britain having been the Americans' "junior partner" in 1940 in the war against Hitler. Given that the US did not even join the war until 1941, it was not even historically accurate, quite apart from the, probably unintended, slight on our own WW2 heroes. But while Mr Cameron was busy making friends across the pond, his own 'junior partner' was committing a possibly more serious gaffe in regard to a more recent conflict. Standing in at PMQs, deputy premier Nick Clegg allowed himself to be goaded by Labour's Jack Straw into declaring the 2003 invasion of Iraq "illegal." The comment was interesting on both a personal and a political level. It demonstrated that, for all his polished performances in the TV election debates, Mr Clegg hasn't yet quite made the transition from leader of a protest party to statesman. While many voters will applaud his honesty in speaking from the heart, ministers sometimes have to be more circumspect. More broadly, the comment also highlighted the fact that the Tories and the Liberal Democrats are very different parties, one instinctively pro-establishment, the other instinctively anti. As we come to what is generally considered to be the end of the political year, the talk at Westminster is inevitably that the coalition is showing its first signs of fracture. If the truth be told, the tensions were there from the start, but they really only began to come to a head once the scale of George Osborne's Budget cuts became clear. If there were protests on the Lib Dem side about that, they were then more than matched by the mutterings on the Tory benches following the announcement of the electoral reform referendum to be held next May. Then, this week, came Mr Clegg's PMQs outburst and a separate row over the Lib Dems' proposed graduate tax to pay for higher education, which the Tories have now turned their backs on. Still to come in the autumn is a party conference season in which I expect to hear Lib Dem activists sounding-off loudly about the Tories' plans to reform education and the NHS. With an election theoretically five years off, no-one is currently paying too much attention to opinion polls, but they nevertheless paint an intriguing picture of how the public mood has shifted since 6 May. Leaderless Labour are up an average five percentage points for the loss of Gordon Brown, which tells its own story of what might have happened had someone else been leading them on election day. Meanwhile Mr Cameron's Tories are up around eight percentage points at 44pc, while Mr Clegg's Lib Dems have slumped to around 13pc. The worrying conclusion here for the Lib Dems is that while the public seems to generally approve of what the government is doing, it is currently only benefiting the Tories rather than them. One of the most prescient questions of the week was posed by the blogger Henry G Manson, writing on the excellent PoliticalBetting.com website. In a neat reworking of the title of an old club anthem from the late 1980s, he asked: "Clegg: How low can he go?" Henry's point was that there has to come a point beyond which Lib Dem MPs and activists will not allow the party's support to slump before they are finally moved to act. I suspect that this is a question which will not only help shape the politics of the next 12 months, but one which may ultimately determine the fate of the government. Asked once how he would know his transformation of the Labour Party would be complete, Tony Blair famously replied: "When it learns to love Peter Mandelson." Judged purely on that measure, however, it seems from this week's events that the party which Mr Blair led for 13 years still has a way to go. There was a point, 18 months or so ago, when it looked as though the former Hartlepool MP had finally managed to win his way into the hearts, as well as the minds, of the party faithful. But all the goodwill engendered by his return from Brussels to stand at Gordon Brown's side during his government's most difficult days has been dissipated at a stroke by his decision to publish a trashy account of the New Labour years. In the past, many Labour people who found Lord Mandelson's style of politics distasteful have nevertheless forgiven him on the grounds that he was a loyal party man with Labour literally running through his veins. But the publication of his book 'The Third Man' this week has surely demolished that defence once and for all. It has oft been said of Peter Mandelson that he was always better at guiding the fortunes of the party and its leaders than he ever was at managing his own career. But the lack of judgment that resulted in at least one of his two Cabinet resignations seems to have returned with a vengeance in his apparent eagerness to cash in on the lucrative summer 'beach read' market. It is not even as if any of the revelations in the wretched book tell us much that we didn't know already. Much of the focus of attention has inevitably been on whether or not Tony Blair called Gordon Brown "mad, bad and dangerous" and likened him to a "Mafia don." Well, "mad" is one of those words that gets thrown around a little too loosely these days. It can mean anything from clinical insanity to having a bit of a temper on you. It is hardly surprising, though, that Labour's opponents in the media have put the worst possible construction on it, with Mr Brown's reputation taking a further battering as a result. But in my view, the book is far more damaging to Mr Blair's historical reputation than to his successor's. It confirms what many have long suspected, namely that he did indeed promise Mr Brown in 2003 that he would not fight a third general election, but went back on it. It is impossible to over-estimate the impact of this on subsequent Labour history. Had Mr Brown been Labour leader up against Michael Howard in 2005, he would have won that election with at least as good a majority as Mr Blair managed. He would then, in all likelihood, have retired with dignity mid-way through the last Parliament, giving Labour a chance to renew itself in office under a new generation. As it is, Mr Brown is currently being subjected to all sorts of indignities, with his government's record being trashed by the Con-Lib coalition on an almost daily basis. But I wonder whether when people realise what the coalition is really doing to our public services – privatising the NHS by the back door being its latest wheeze – they might start to feel some sympathy for the former Prime Minister. Either way, the Labour Party will doubtless in time come to love Gordon in the way it does all its old leaders – particularly the unsuccessful ones. One thing it will never now do, though, is to learn to love Peter. Ever since the new coalition came into office, the consensus has been that its political honeymoon would last only as long as it took for real cuts in public services to start happening. While people seem happy for ministers to talk about efficiency savings and even 25pc cuts to government departments, they become rather less so when that starts to impact on local schools, hospitals and police. So this week's announcement of the scrapping of the Building Schools for the Future programme, aimed at refurbishing every school in England, was one announcement the government needed to get right. And as we all now know, Education Secretary Michael Gove managed to get it totally and spectacularly wrong, producing at least four different lists of the schools affected each of which contained inaccuracies. In this region alone, the original announcement led to building work being halted at 46 schools including five in South Tyneside. However it later emerged that all five of these schools had been mistakenly included on the list and that the work would, after all, be continuing as planned, although other areas were not so lucky. Those who long to see a bit of passion restored to the political arena will have loved Labour MP Tom Watson's Commons attack on Mr Gove after the minister was forced to make one of several apologies for the blunders. Former whip Mr Watson concluded his onslaught with the words "You're a miserable pipsqueak of a man, Gove!" – incurring the wrath of Speaker John Bercow who swiftly ordered him to withdraw. Ultimately, though, it is not the chaotic presentation of this announcement which is the real issue. It is the fact that cuts to school building projects should be happening at all. Once again, the government has tried to pin the blame on Labour, arguing that the Building Schools for the Future programme was wasteful and bureaucratic. This would be all very well, had Mr Gove outlined how the new government proposes to refurbish our dilapidated school buildings in a more cost-effective and less bureaucratic fashion. His failure to do so leads one to assume there is no such plan, and that they will consequently be left to rot. One consequence of this week's fiasco has been talk of an upturn in the fortunes of Labour leadership contender Ed Balls, who has led the attack on Mr Gove. The Shadow Education Secretary is currently trailing in, at best, third place behind the Miliband brothers in the race, but with voting not due to happen until the end of August, much could theoretically change before then. For my part, I don't think it will. While accepting that Mr Gove's hapless performance this week has given Mr Balls a chance to shine, I think the party has by and large made up its mind about him. Sure, they want to see his combative political skills used to good effect in a senior role - almost certainly Shadow Chancellor – but my hunch is they want someone more emollient as leader. The longer-term impact of the week's events is likely to be less on Labour and more on public perceptions of the coalition. Even within the North-East, the scrapping of the rebuilding programme runs the risk of creating a postcode lottery between areas such as Newcastle, where all the projects had already been approved, and Durham, where 14 have had to be cancelled. It is invariably going to create a huge sense of injustice in those areas unlucky enough to miss the cut-off point and which now face an indefinite wait for new facilities. And at some point, that sense of injustice is something the coalition will need to address. How open is the Labour Party to persuasion? Early on in the Labour leadership battle, Mike [Smithson] drew what I thought was potentially a good analogy between David Cameron’s succesful campaign for the Tory leadership in 2005 and Andy Burnham’s candidature for Labour this time round. Young Burnham, he surmised, could turn out to be the Cameron of this campaign - a relative unknown coming from behind to win while better-known front-runners faltered. As it is, Burnham has hardly achieved lift-off. He has fought an oddly Old Labour sort of campaign, of which the last straw - no pun intended, Jack - has been his opposition to the proposed AV referendum which Labour supported in its manifesto. But that’s not my main point. My question is: is there actually room in this race for any of the candidates to ‘do a Cameron,’ or is the nature of the contest such that the prospect of anyone springing a surprise is already closed-off? One major difference between this and the Tories’ 2005 race is that the candidates are not being subjected to the pressure-cauldron of a party conference hustings. When the Tories did this, it enabled them to weed-out a front-runner in David Davis who, whatever his other virtues, was clearly incapable of making a decent platform speech, in favour of someone who wowed his audience by speaking without notes. Another key difference is the nature of the two parties. As I have pointed out on my own blog, the Tories are historically much more open to making unexpected choices of leader - Margaret Thatcher over Ted Heath in ‘75, William Hague over Ken Clarke in ‘97, Iain Duncan Smith over the same opponent in 2001. My hunch is that most of Labour’s electorate has already made its mind up about this election, and it is now a contest between the brothers. While it is not yet clear which of them will win, it is clear that one of them will. I’m not sure what current prices are available on Burnham, Ed Balls and Diane Abbott, but whatever they are, my candid advice to PB aficionados would be: ignore them. After the initial thrill of seeing Liberal bums occupying ministerial seats for the first time since the wartime coalition of the 1940s, the past couple of months have proved something of a reality-check for Britain's third party. First, there was the loss of their rising star David Laws from the coalition Cabinet after just 16 days following revelations in the Daily Telegraph about his expense claims and his private life. Then the Climate Change Secretary, Chris Huhne, was forced to do a Robin Cook and swiftly dump his wife for his mistress after their affair was exposed by the News of the World. Mr Huhne kept his job, although conspiracy theorists would doubtless see a pattern in this double embarrassment for key Liberal Democrats at the hands of Tory-supporting newspapers. But of course, the unease currently being felt across Nick Clegg's party is not just about the personal difficulties of individual Lib Dem ministers. It goes much deeper than that. The first two months of the coalition have been dominated by the Tory 'cuts' agenda, with Chancellor George Osborne emerging as the dominant figure in the government much as Gordon Brown did under Tony Blair. For the Lib Dems, it has meant the humiliation of being forced to eat their pre-election words, when they warned that cutting too deep, too fast could cause another recession. More and more grassroots Lib Dems, and even some of the party's more left-leaning MPs, have started to ask the question: What's in this for us? Well, this week came the answer – news that a referendum on changing the voting system from first-past-the-post to the alternative vote is to be held next year, probably on 5 May. For Deputy Prime Minister Mr Clegg, who will formally announce the move next week, it represents perhaps a once-in-a-lifetime chance to achieve the Lib Dem Holy Grail of electoral reform. There are strong practical arguments for having the vote this early on in the Parliament, in that if it were held any later there would be little chance of getting any changes through in time for the next election. Against that, though, is the obvious danger that it could shorten the coalition's life by about four years if the referendum is lost. Were that to happen, of course, there would be little incentive left for the Lib Dems to remain in the government, and Mr Clegg would come under pressure from his party to obtain a swift divorce. This might, in turn, provide a perverse incentive for the Conservatives not to campaign too hard against the change to AV, although premier David Cameron has insisted that he will. The referendum poses a dilemma for Labour, too. The logic of opposition suggests it is in their interests to get a 'no' vote in order to try to bring down the government and force a 2011 election. But many Labour MPs favour AV, and both Miliband brothers have made clear the party will campaign for a 'yes' vote if they win the leadership. Whether or not Mr Clegg succeeds in his ambition will depend at least in part on whether the coalition can retain the broad popular support it currently holds. As the North-East knows all too well, referenda held at a time when the government is unpopular tend to result in resounding 'no' votes. The biggest danger for the 'yes' campaign is that the public comes to view this as an irrelevance when set against the economic problems facing the country – as many Tory MPs already do. Not for the first time in recent months, the Lib Dems are finding themselves having to negotiate uncharted – and shark-infested – political waters.